New Bird Hide at Mai Po 米埔新觀鳥屋 - MPNR 米埔自然保護區 - HKBWS Forum 香港觀鳥會討論區 - Powered by Discuz! WWF-Hong Kong has a long-standing commitment to working with the Mai Po Community for wetland conservation at Mai Po and Inner Deep Bay. To enable our community to connect to nature our reserve and education teams have been planning for new bird hides to support educational and research programmes. This is quite an important issue, and I would recommend any birders and photographers with an interest in the hides at Mai Po to look at the proposals. This is an opportunity to give feedback to WWF about what conditions you would like included as part of their new hide design. The proposal is to build two new tower hides using the same design as the existing hide - one at Pond #8a (close to the existing hide) and one at Pond #20. I have heard comments previously from photographers about the design of the existing tower hide. Now is a chance to give feedback to WWF to make sure that the new towers can include all features that you think are important. 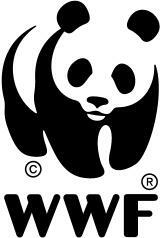 Please take time to have a close look at the website (https://www.wwf.org.hk/en/whatwe ... mmunity_engagement/) and give them any feedback you think is appropriate. Processed in 0.012356 second(s), 8 queries.